An expert-curated list of the most potential and path-breaking tokens to invest in the upcoming year to enjoy excellent returns. London, december 11th: With the New year almost knocking at the door, it’s high time for crypto investors to make a shortlist of the potential tokens to invest in the upcoming year. With hundreds and hundreds of tokens surfacing almost everyday, it’s slightly difficult to fish out the best ones. 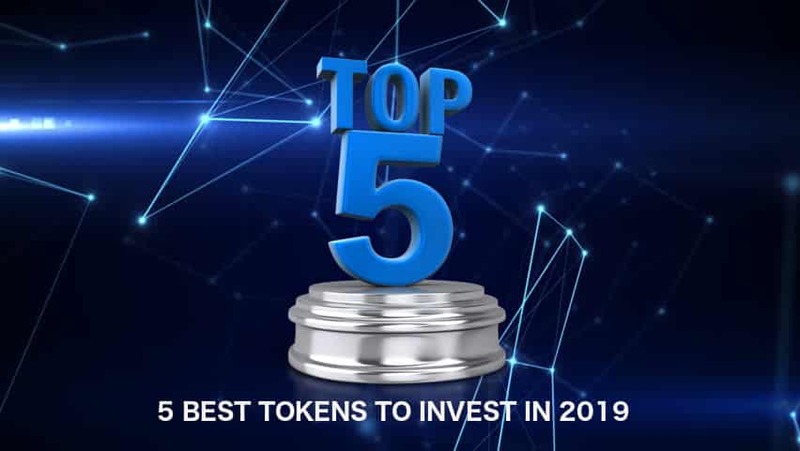 The good news is, the market experts have already started studying the market and have put forward the 5 top tokens to invest in 2019. Trade.io is a futuristic crypto platform that is all set to herald a trading revolution. TIOx enables you to take part in a futuristic exchange which is lot more smarter, better and also faster than regular exchanges around. The site has taken the crypto world by storm with its lightning-fast execution, customizable interface , extremely low trading fees and ability to trade in versatile asset classes. Xinfin represents world’s very first hybrid blockchain platform which is an exclusive combination of the best of both public & private blockchain technologies. It’s an enterprise-grade blockchain platform dedicated to global trade & finance. More precisely, the XDCE token is aimed to lessen the deficit in global infrastructure by reducing inefficiencies in worldwide trade & finance with the power of blockchain. Do you know ETH’s price will ride over Bitcoin by the last quarter of this month? Yes, and by mid-2019, Ether’s price will peak to a whooping $1,000. As per the experts, by 2042, Ether’s value will be more than $100,000! ETH is extremely user-friendly, trustworthy and allows instant trading. It is also flexible to use modern innovative tools to enhance the user experience a notch higher. TCAT is all set to free the crypto media world from the claws of misleading news reports. Governed by the cutting-edge REAL protocol, the token is aimed to produce only the real-time news based on true facts and penned by ethical, impartial and seasoned journalists. It also assures attributive news reports where all facts are checked before publishing. The ground-breaking crypto platform represents the first exchange in the crypto scene that allows users to trade in local fiat currencies. With FNX, traders will be able to sell, buy as well as manage different digital assets in their local fiat currency and that too at an extremely low trading fee.